First there was a baby. And a whole lot of uncertainty. Time passed. The baby grew and healed. So did her mom. Then another agent brimming with love and enthusiasm for the baby, I mean book. I knew when I learned the publisher moved their offices out of Manhattan to a small town in the Catskills. A small town five miles down the road from the farm where my husband grew up. Five miles from where his parents still live! “Should we ask my dad to send someone over from the farm to snowplow for them?” Lee asked. I knew when the publisher agreed to rush production and have the book ready by May, this May of 2012, for the conference where I’m speaking. And I knew when I saw the gorgeous cover design. 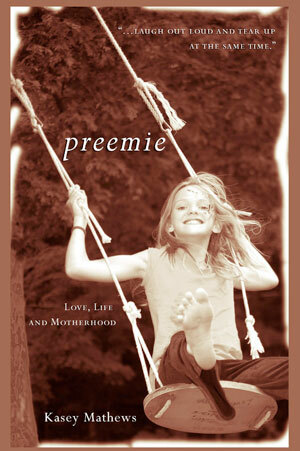 So please join me in welcoming Hatherleigh Press (an imprint of Random House) to the Preemie Team. And thank you for your continued support and belief in the book. What a journey this has been. Please share this good news, visit the Preemie Facebook Fan Page and ask all your friends to do the same! Look out world, here we come! http://kaseymathews.com/wp-content/uploads/2019/02/Kasey-mathewsNewLogo2019.jpg 0 0 Kasey Mathews http://kaseymathews.com/wp-content/uploads/2019/02/Kasey-mathewsNewLogo2019.jpg Kasey Mathews2012-01-26 12:57:392016-08-30 13:01:26Big Book News! !